Tricia Bowden bought a book on EFT and started tapping all by herself. She had been experiencing breathing problems that mystified the doctors and an increasing frequency of panic attacks. By the time Tricia came on the EFT Foundations workshop she had learned a great deal about using EFT, largely conquered her problems (her panic attacks have gone) and she has set out to rebalance her life. Here’s how the story starts. Around 3-4 years ago I started getting a very tight chest and breathing became difficult for me. I’m a very healthy active 36 year old so there was no real reason for this to happen. I was very confused and so were the Doctors, stating that I had a heart rate of an athlete, “there’s nothing wrong with you” they would tell me. But some days I couldn’t talk and breathe at the same time so life started to become a struggle and soon after I started having panic attacks. My ex partner wasn’t as supportive as I’d like to have hoped and I felt very alone. I soon picked up a fear of not being able to breathe. I spent the next 3 years trying everything and avoiding everything also. Eventually I stopped doing things that would cause me to have a panic attack in public and it controlled my life. I’m a strong willed Woman and I wasn’t about to give up, although I really wanted to inside, hope was not a part of me any more, only a wish for hope was what I had now. I started my journey to get better with books, lots of self help books, dvd’s, hypnotherapy, psychotherapy, meditation, NLP, The Linden Method (which is alo great for panic attack sufferers) ….. I could go on and on and on. Whilst on a 10 day meditation retreat, I met a lovely Lady (psychotherapist) called Jennie Penkul, she had met Gwyneth some time ago and also practiced EFT to her clients, she strongly suggested I meet Gwyneth to conquer my problem. And so I did. Just before I contacted Gwyneth, I bought a book on EFT and taught my self the basics. Within days I was tapping away, at first it seemed a little strange to say the least but I was determined to give this a go, this was my last grasp at getting hope back into my life, with hope there is a way. I dedicated 1-2 hours a day to EFT. I wrote down all of my fears, my issues, my biggest obstacles, hates etc….. I tapped on my breathing and tapped again and again. Each session brought new things to the surface and although it helped with some other things, it was not helping with my breathing. That was then, around 4 months ago. After some weeks of tapping, I really started to get things out, it was amazing! One minute I was tapping and the next I would be crying so much that no noise was coming out of my mouth, there was clearly a lot of built up emotion in there, I couldn’t believe it. Eventually something inside of me whispered to my thoughts and told me to talk to my heart, tell it that you are sorry for all the pain you’ve put it through. This is what came out: Whilst I was with my ex partner, I used to fear loosing him so much that I would convince my self that I could not live or breathe without him. My body took this as gospel and the problems began. This was just the surface of it but you get such a realisation of the truth whilst you are tapping that you know it is working because you can’t believe what you’ve put your body through. Whilst tapping, I sincerely apologised to my heart for putting it through the past pressures and fears and it finally cracked its hard shell and pored its self out to me, almost as if I was the counselor and my heart was me. Once it started it didn’t stop and I tapped and cried for what seemed like hours. After I stopped I felt huge relief. I have been on a true EFT journey and I continue to tap today when I can. My panic attacks have gone and I am working on all the little things in life that would lead to an attack. I’m not healed fully yet but I am a good 80% there, I still have very minor tight chest every now and again, but I cope with this and tap! I’ve completed the first EFT workshop which was great, I am about to go onto do 2 and then 3. 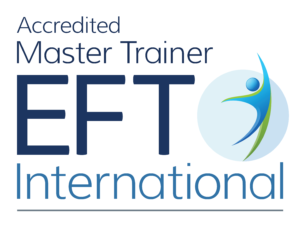 I have just changed my career and I hope to use EFT in my work place. My future is bright and EFT has been my guiding light.